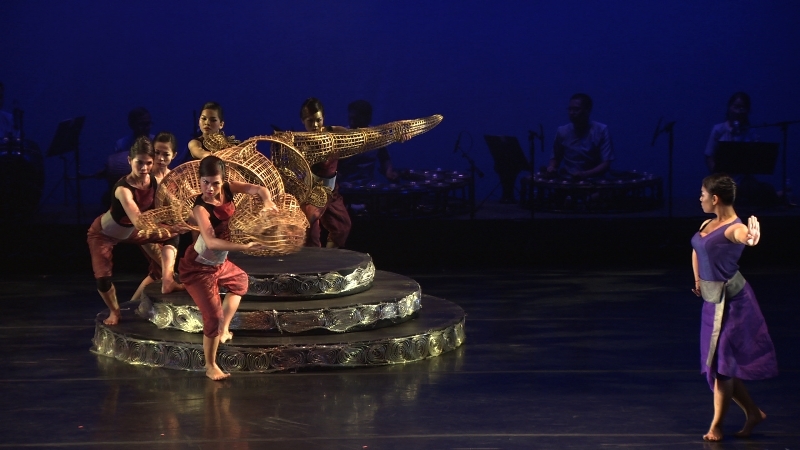 Greetings all,Tuesday 20 sees the return after holidays of Spoken Arts in Siem Reap. This is a semi-regular collaborative, interactive, spoken word event with few rules. If you’re in SR, head down to Siem Reap Party House on Soksan Road with a book, some papers, or your smartphone in hand from 8.30 pm. In Phnom Penh on Tuesday 20, a similar but more visual arts-related event at Cōnekla (St 51, between St 352 and St 360) presented by Orangutan Swing. It’s drawing, it’s talking, it’s improvising. Guest host Henrik Akesson will share some exercises in collaborative drawing he’s come across in Paris and Barcelona. BYO materials, from 6 pm. Quietly opening at Meta House on the evening of Tuesday 20 is a mini-exhibition by Sokuntevy Oeur. “Her paintings openly tell the story of the conflicts women of this generation face, whether emotional, familial, social or financial, in trying to be themselves, in a place where restrictive conventions and values have long-existed and mapped out the path for women.” The show includes both new and older works. On Wednesday 21 Phnom Penh Community College is running the last in the recent series of evening art workshops by Adrianna Snochowska, this one entitled Negative Space in Abstract Painting, 6:15-8:15pm. On Thursday 22 the monthly Open Stage Poetry Night at Java Café returns, the last of these nights to be coordinated by Greg Bem, who has done a fantastic job bringing together young writers from all walks of Phnom Penh life during his tenure. Unfortunately he is returning to his homeland next month; consequently he is keen to find someone to take the reins of this cool monthly event, which as usual includes a meet up and talking space for writers from 6 pm to 7 pm, followed by featured readings, and finally an open mic from 8 pm until 9 pm. Pop along and make it a good one. Greg calls in a poem. Also on Thursday 22 at Sa Sa Bassac, the opening of a new exhibition Rubber man, by Khvay Samnang, from 6 pm. No further details at present, but the show runs until 12 July. And finally, also on Thursday 22 at Meta House from 7 pm the three new student short films at the Raffles College Student Film Night. Film students Romane Poidet, Keo Mankean and Hui Seung will hold Q&As after the screening. At Bophana Centre (St 200, between St 63 and Monivong) on Saturday 24, Cineclub screens a number of short films from the recent Chaktomuk Short Film Festival in the presence of the jury, to provide some insight and advice for budding film makers. Guest speakers: Chhay Bora, Sok Visal, and Ian Master. From 2 pm. And on Sunday 25, you can get both your culture and your dance on with Phnom Penh Community College’s Khmer Traditional Dance Workshop. 9:30 am start. Tuesday 20 from 8.30 pm, collaborative, interactive, spoken word event Spoken Arts in Siem Reap at Siem Reap Party House. More infoTuesday 20 from 6 pm at Cōnekla (St 51, between St 352 and St 360) presented by Orangutan Swing, interactive drawing and conversation. Henrik Akesson will share some exercises in collaborative drawing. BYO materials. Commencing Tuesday 20 at Meta House is a mini-exhibition by Sokuntevy Oeur including both new and older works. Until 8 June. Wednesday 21 Phnom Penh Community College is running the last in the recent series of evening art workshops by Adrianna Snochowska, this one entitled Negative Space in Abstract Painting, 6:15-8:15pm. 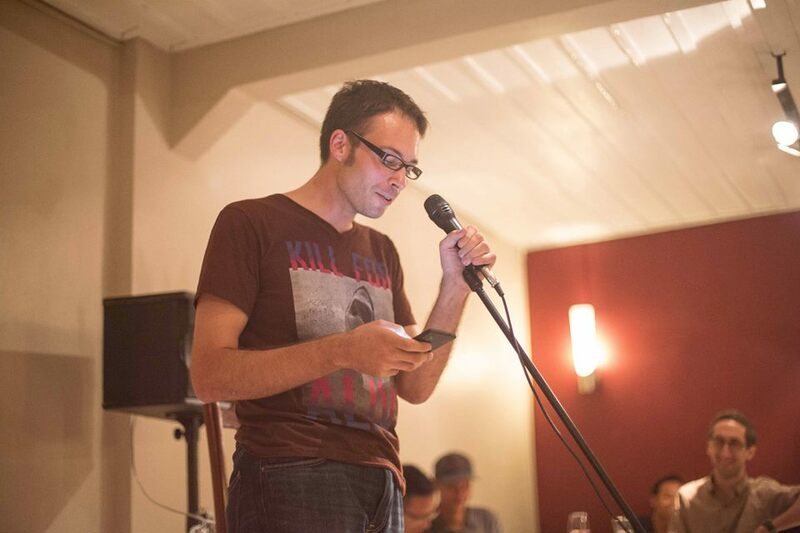 On Thursday 22 the monthly Open Stage Poetry Night at Java Café, hosted for the last time by Greg Bem. Writers meet up from 6 pm to 7 pm, followed by featured readings, and finally an open mic from 8 pm until 9 pm. Thursday 22 from 6 pm at Sa Sa Bassac, the opening of a new exhibition, Rubber man, by Khvay Samnang. Until 12 July. Thursday 22 from 7 pm at Meta House is the Raffles College Student Film Night. Film students Romane Poidet, Keo Mankean and Hui Seung will hold Q&As after the screening. Sunday 25 from 9.30 am, Phnom Penh Community College holds a Khmer Traditional Dance Workshop. 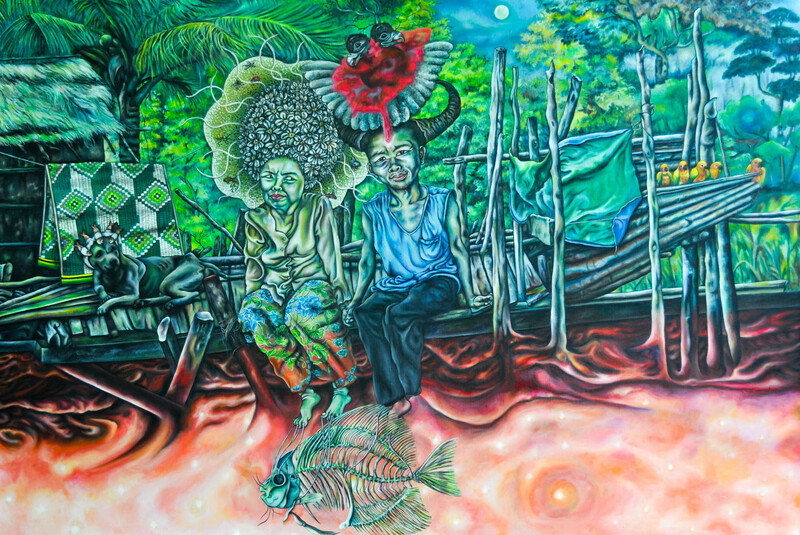 Even more infoCambodian Living Arts presents the exhibition Chhnang! about traditional and contemporary pottery making. CLA is located on Sothearos Blvd just south of St 294. Greetings all.Tonight, Tuesday 13, from 6 pm, the opening at Meta House of Cages torn open, new sculptures and paintings by Chhan Dina. “We are reminded of what we share with other living beings, and what we forget and deny. The paintings explode with colour, a confident assertion of the shared liberation theme. In paint, line and colour blur the distinctions between species, all swimming in the same soup; in fired clay, disparate characteristics are fused into one body.” Absolutely not to be missed. Different but the same, the Cambodia LGBT Pride Week 2014 Film Festival opens Tuesday 13, running through to Saturday 18 at Meta House. Official opening at 7 pm with the screening of a documentary about the 2013 Pride Week, and a collection of shorts from around the world. The week unfolds with screenings every day from 4 pm. The Memory! International Film Heritage Festival – coming soon, 31 May to 8 June – is calling for volunteers. Deadline May 15. Angkor Photo Festival calls for submissions of work for the 10th Angkor Photo Festival & Workshops, to be held this year from 29th November to 6th December in Siem Reap. Deadline May 30. Tuesday 13 from 6 pm, the opening at Meta House of Cages torn open, new sculptures and paintings by Chhan Dina. “We are reminded of what we share with other living beings, and what we forget and deny. The paintings explode with colour, a confident assertion of the shared liberation theme. In paint, line and colour blur the distinctions between species, all swimming in the same soup; in fired clay, disparate characteristics are fused into one body.” Absolutely not to be missed. Tuesday 13 through to Saturday 18, Different but the same, the Cambodia LGBT Pride Week 2014 Film Festival at Meta House. Official opening at Tuesday 7 pm with screenings every day from 4 pm.